In the annals of unforgettable people I’ve interviewed and profiled, UNO’s retired director of Center for Afghanistan Studies and dean of International Programs and Studies Tom Gouttierre ranks right up there. This is my new profile of him for the March 2017 issue of the New Horizons published by the Eastern Nebraska Office on Aging. Look for it at newstands and for subscribers in your mailbox starting Feb. 27. My first encounter with this irrepressible man came some 20 years ago and I’m still recovering from it. I mean that as a compliment. You see, Tom fills up a room with not only his big frame and personality, but with the breadth of his life experience and the depth of his passion for things he cares about. Because he is a citizen of the world and considers his second home to be Afghanistan, where he lived and worked nearly a decade and that he made the center of his professional life,. he has an expansive view about things that you don’t run into every day. He’s seen things most of his fellow native born Americans haven’t. That translates into him apprehending the world in terms most of us don’t or can’t because we don’t have his experience or expertise. He even shakes hands differently than most of us. He calls its an international handshake. 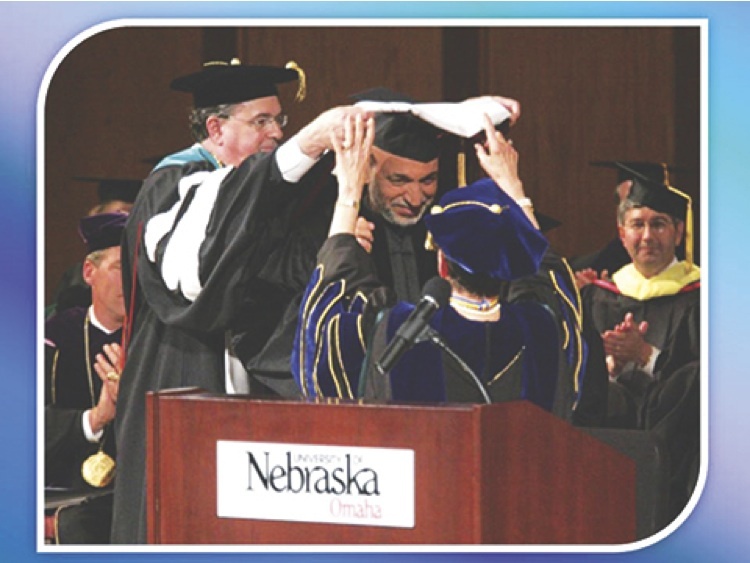 His immersion with Afghanistan, first as a Peace Corps volunteer, then as a Fulbright Fellow, then as director of the Fulbright program in Kabul and finally as director of the Center for Afghanistan Studies at the University of Nebraska at Omaha, he became an official ambassador to that country. He has many close friends who are Afghan. You can’t turn around in his Dundee home without seeing something from there. That first meeting I took with Tom was for a long interview I did to inform a cover profile I wrote about him and his love affair with Afghanistan. His affection for that nation and its people runs deep and it’s safe to say his thoughts are never far from there and them. The article I did all that time ago contrasted the veritable paradise that the peacetime Afghanistan was in the 1960s and early ’70 with the devastated shell the invading Soviets left it in. Like the millions of refugees who fled their homeland, Tom has despaired that his dream place has been so violently disrupted and shattered during three-plus decades of ongoing chaos, terror, violence and war. Like some of the Afghan people, he’s never stopped hoping and trying to do what he can to stabilize and rebuild the infrastructure. His UNO Center conducted many education programs with Afghans in exile and with resident Afghans. Tom served as a top U.S. advisor on the country. 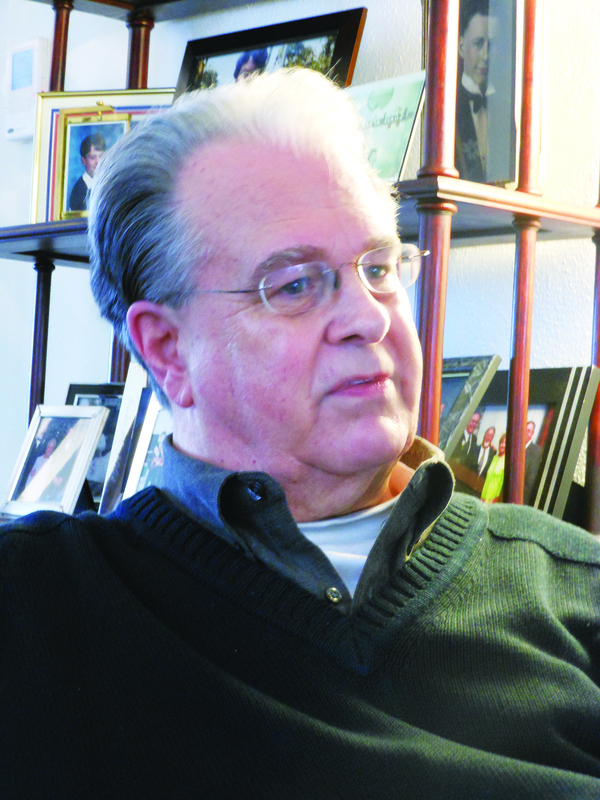 He retired from UNO from 41 years but the center’s work continues and his personal interest in and connection to Afghanistan remains strong. On the surface, Tom Gouttierre led a parochial Midwest life growing up in post-World War Ii America. By the time he was at Bowling Green State, he expected a traditional, stateside education career awaited him. Little did he imagine the far-off places his work would eventually lead, first as a Peace Corps volunteer with wife Marylu, then as a Fulbright Fellow, and finally as longtime director of UNO’s Center for Afghanistan Studies and dean of International Studies and Programs. Gouttierre retired in 2015 after 41 years doing jobs he loved. His work brought him into contact with U.S. presidents, secretaries of state, ambassadors, generals, foreign leaders, geo-political intrigues and momentous events. But what he most enjoyed was interacting with International Studies students. Some came from all corners of the globe and others right from his own backyard. “The thing driving me more than anything else was advising those International Studies majors – young Midwest kids very much like I was wanting to learn and work in the world,” he said. “I was so inspired regularly to be with these young dynamic students who wanted to do something, It was that more than any one thing that kept me working until age 75. That, and the fact that I’d step outside my door and be surrounded by students from all around the world. When Gouttierre came to UNO in 1974 after a decade of living and working in Afghanistan the university had fewer than two dozen international students and only one international program. When he left four decades later there were more than 2,000 international students and scores of programs. The center’s work its first decade-and-a-half revolved around a donated archive comprising the largest collection of Afghan cultural material and documents outside its borders. The center’s role broadened after the Soviet Union invaded Afghanistan. With the country in tatters and millions of Afghans in refugee camps, the center tasked itself with rebuilding that Central Asian nation’s education infrastructure. Meanwhile, UNO’s Intensive Language (ILUNO) program gave the University of Nebraska at Omaha a global presence as students from diverse nations came for intensive training. Gouttierre’s experience and expertise made him a go-to U.S. government advisor and media source. During his tenure, the center managed some $120 million in federal contracts and grants. He was part of high-level, secret negotiations for the Soviet Union to exit Afghanistan after its failed invasion. He oversaw programs that trained hundreds of Afghan residents and refugees in learning English. public administration and advanced teaching skills. Some of those trained by UNO. either here or overseas, became key players in Afghanistan’s fledgling democracy. Long before Hamid Karzai became president of Afghanistan, he and Gouttiere knew each other. Another close personal friend is current Afghan president Ashraf Ghani – a former student of Gouttiere’s. 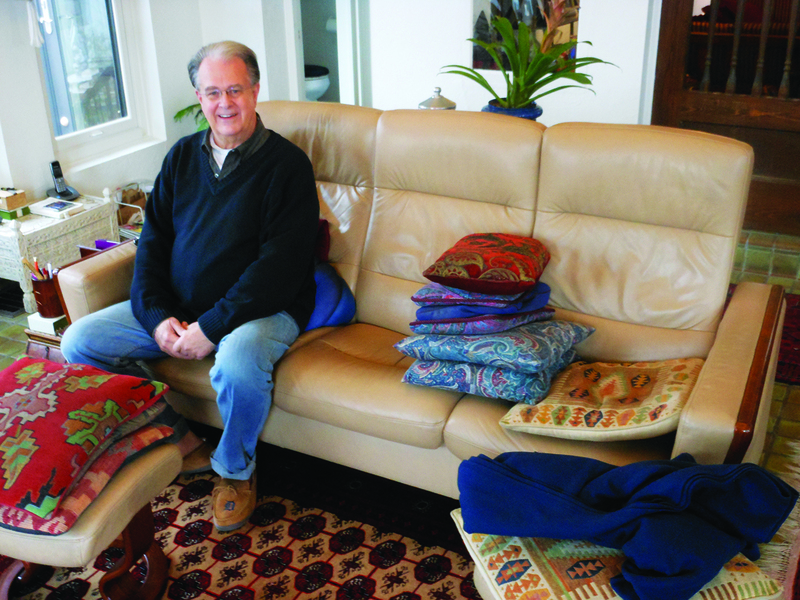 The American’s Dundee home is filled with artifacts from his and Marylu’s time there, including collections of rugs and mortars and pestles. Their home features arches reminiscent of Middle Eastern design and a solarium with a running fountain. It’s ironic Gouttierre ended up being a citizen of the world because he barely left his native Ohio before age 25. 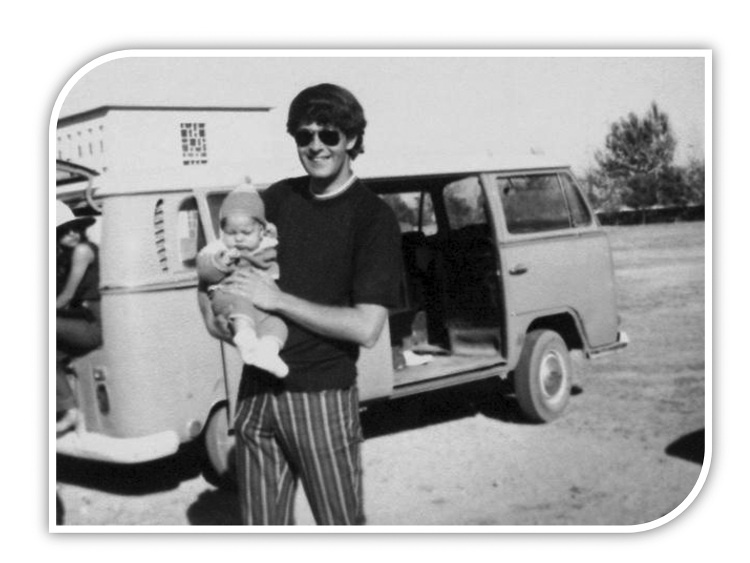 In 1965 he took his first airplane trip anywhere – to Afghanistan’s capital city of Kabul. It was home to Tom and Marylu for may years, Adam, the oldest of the couple’s three sons, was born there, The country, the culture and the people fundamentally changed the course of Gouttierre’s life. His immersion was as deep and complete as possible for an outsider. His interest in and affection for the people has never wavered and has been reciprocated in kind. He admires the fierce, proud nature of Afghans who have famously taken up arms throughout history to repel enemy invaders in defense of their homeland and autonomy. They’re also grateful to anyone who assists their aspirational dreams. “Afghans would demonstrate and plead with the Ministry of Education to have Peace Corps volunteers teach them English in their schools. 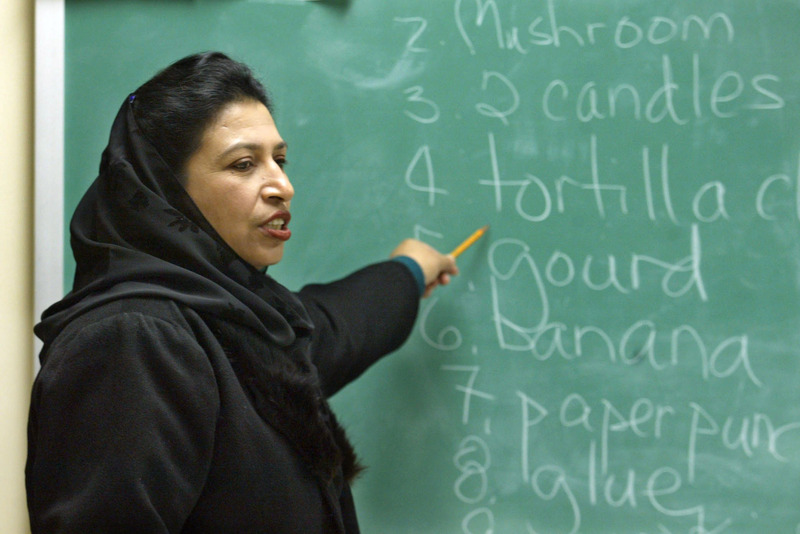 In more recent years, Afghans have sent teams of teachers and journalists to Omaha for intensive training. But progress is slow in this tortured era of terror attacks. Reconstruction needs are vast. Corruption, rampant. The nearly nonstop fighting of these last 30-plus years has left Afghanistan in tatters. The devastation and loss is a far cry from the veritable paradise Gouttierre once experienced there. “When I lived there it was a dream place,” he said wistfully. “It was the ideal place to serve as a foreign service officer. I got to know the Afghans and I got to know them intimately. And I knew everybody because I was there 10 years and I coached basketball. It’s a small town country. So it was ideal. None of this seemed a likely landing spot for this child of 1950s mid-America. But beneath the cookie-cutter facade of muscle cars, rock ‘n’ roil lyrics and school proms Gouttierre pined for adventures far from home. He wasn’t sure how to make those yearnings reality until John F. Kennedy laid out a vision for the Peace Corps during his 1960 presidential campaign and encouraged young people to serve their country and the world in his 1961 inaugural address. The vision sparked a sense of wanderlust in Gouttierre that dovetailed with America looking beyond its shores to win hearts and minds during the Cold War. Coming of age in Maumee, Ohio, Gouttierre followed his devoutly Catholic, hard-working Belgian-American family’s lead by going to church and cheering for their beloved Notre Dame Fighting Irish and Detroit Tigers. His sports passion continues unabated today. He also follows Indiana and Creighton University basketball and UNO hockey. He’s a Mav season ticket-holder. His father hailed from a long line of glass blowers but became a master baker. Tom worked in the family bakery from the time he was a boy and mastered the craft himself. Generations of Gouttierres emigrated to the States and Tom became enamored with his grandparents tales of the old country. He studied maps and globes. He devoured books. “I loved to read from The Book of Knowledge (children’s encyclopedia). He loved foreign languages. One grandmother spoke only French. He went on to learn French. Latin, German, Russian and Dari. None of his international experiences may have happened though if not for JFK’s clarion call to serve. JFK’s challenge to Americans to “ask not what your country can do for you, ask what you can do for your country” and to to the world – “ask not what America will do for you, but what together we can do for the freedom of man” – was a call to action Gouttierre couldn’t ignore. 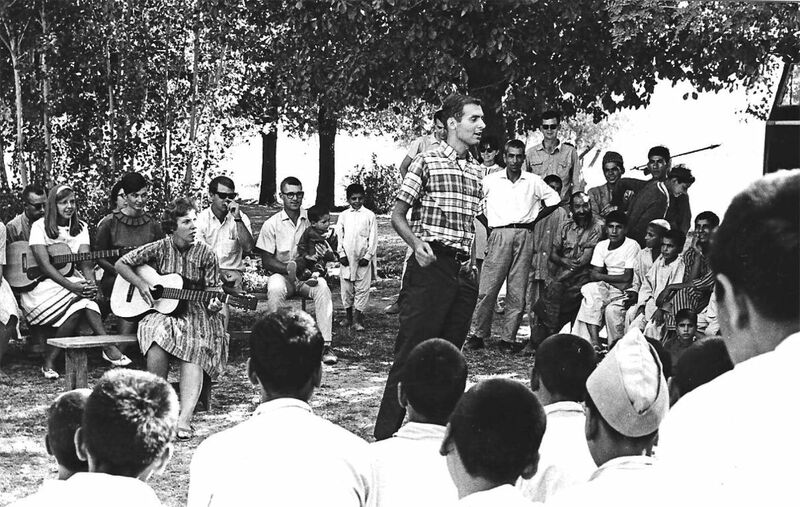 Peace Corps volunteers at a 1965 event outside a Kabul orphanage. Tom Gouttierre and wife Marylu are in the background along with Omaha educator Howard Faber. 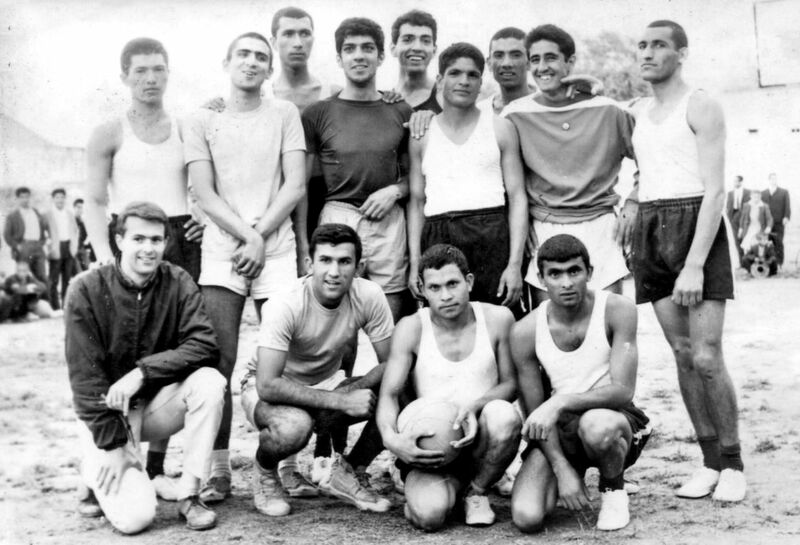 Tom Gouttierre, front left, with members of two Afghan basketball teams. His time in Afghanistan began with the Peace Corps in the 1960s and the formation of an Afghan basketball league. It grew into a lifelong dedication to the restive nation and its people. Gouttierre said new U.S. President Donald Trump’s desire to build walls and ban immigrants is “so insular” by comparison. He said Trump’s executive order travel ban has only inflamed immigration fears and frustrations. “People are up in arms over immigration but Congress does nothing. What Trump has done through executive order is bring a tension. I don’t think his order was well-advised and I don’t think the content of it was appropriate to the task. The other thing I’m concerned about is that this kind of decision hurts our long-term trade and other political and cooperative relationships we have with numbers of these countries. We need the collaboration of many of them to help track down and vet individuals. He said another unfortunate result of the ban will be the adverse effect it has on international student populations around the United States. He favors rigorous trade negotiations that benefit America, but fears too hard a line might touch off trade wars that prove harmful. Among the many challenges Trump faces, he said.is is putting together an effective cabinet team that can help him effectively govern. For going on two decades American lives and resources have poured into Afghanistan to fight terrorists who’ve used that country as a staging ground and safe harbor. Every day Afghans want the terrorists out. The average Afghani gladly accepts America’s help in restoring the country to normalcy. But they warily watch for any signs American commitment is wavering. It’s happened before. Gouttierre feels America’s relationship with Afghanistan has mostly been positive and well-received in each country. UNO’s Afghanistan center took a lead role in educating the nation. “Our center had funds to teach Afghan refugees, who number in the millions in Pakistan. After 9/11, the same thing – our center helped reopen the Ministry of Education and we prinedt books, supplied schools and trained teachers. By UNO bringing Afghans here over so many years, he said, a real understanding of that nation and its people developed. Visiting Afghan teachers, for example. participated in programs in Omaha, Lincoln and host cities across the state. 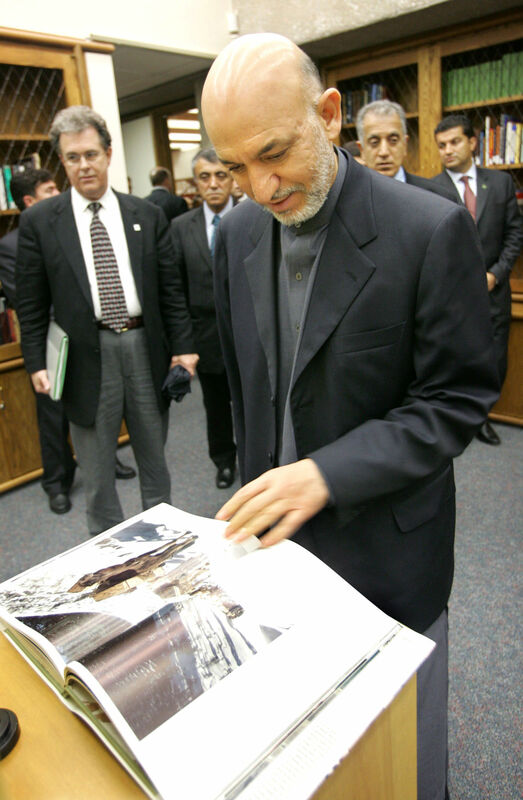 ©PHIL JOHNSON/THE WORLD-HERALD Afghan President Hamid Karzai, a personal friend of Tom Gouttierre’s since the 1990s, examines the UNO library’s collection of rare Afghan books in 2005. ©THE WORLD-HERALD Tom Gouttierre, at far right, leads Afghans at the Eppley Airfield terminal after their arrival in Omaha in 1988. The Afghans came to the United States to relearn skills they had before the outbreak of war in Afghanistan in 1978. They were preparing for the day when the Soviet Union withdraws its troops from Afghanistan and reconstruction of their country begins. Relations between the nations changed once the war on terror began. “Things started to kind of deteriorate after the invasion of Iraq” and the subsequent war in Afghanistan, Gouttierre said. “People say the war in Afghanistan is our longest war. I really resent that. It is not accurate historically. The longest by far and away was the Cold War. It required us to be intense and focused throughout in our competition with the Soviets and the Chinese. Nearly 50 years we had that. that’s a part of the greater global war against terrorism. Like the Cold War, it’s ideologically-driven and it’s going to take a solid long-term commitment to deal with it and put it out. It’s not going to just go away. “unfortunately has infused a negative opinion about our experiences there.” He added, “Quite frankly, most of the enemies we’re fighting are in Pakistan. They go back and forth. It’s not the Afghan people. The U.S. wouldn’t even be in Afghanistan militarily if Osama Bin Laden hadn’t sought refuge and established terror training camps there. Gouttierre rues America abandoning Afghanistan after it’s remarkable defeat of the Soviets. Bin Laden was among those who exploited the vacuum of power. “He went there to fight the Soviets like a great many else did, then he went home to Saudi Arabia, where he was a citizen. although his family was originally Yemeni. They’re a very successful family worth billions of dollars. When Saddam (Hussein) invaded Kuwait, Bin Laden went to the Saudi government and said, ‘Let me bring my Afghan Arabs,’ meaning those who fought against the Soviets, ‘and we’ll drive Iraqi forces out.’ On the other hand, there was the whole United Nations coalition and Saudi Arabia went with that. “A disgruntled Bin Laden went public about the corruption of the Saudi government and monarchy, calling them the handmaidens of the West. He was very vocal about this and he got kicked out and his passport taken away. He fled to Sudan. The Saudis put pressure on the Sudanese to kick him out, so he went where he knew – back to Pakistan and then Afghanistan. That was in 1996. He went to Afghanistan because there was no government there. He was allowed and welcomed by the Tallbs. In his advisor role Gouttierre was tasked with building profiles on Bin Laden and the Taliban. He soon learned they posed a dangerous threat with clear intentions on attacking America. Gouttierre never met Bin Laden but he did see his caravan pass through a Kandihar bazaar. “We switched administrations – we went from Reagan to Bush I. He and his secretary of state, James Baker, “saw great opportunity with the collapsing of the Soviet Union to ensure Russia would not come back as the Soviet Union again. That’s what their focus was. What Afghanistan needed, which I think it deserved, was some type of Marshall Plan. They were our allies fighting against the Soviet Union. He said America’s failure to have a cohesive policy concerning Afghanistan and its fate proved costly. “We didn’t understand how this would come back and bite us. We owed the Afghans something. That country was left in total destruction. We talk about the tremendous refugee crisis now in Syria Why? Because they’re going to Europe and they’re coming back to us. Afghanistan had 7 million of its citizens outside of the country. There were 5 million in Pakistan, another 2.5 million in Iran. They lost over a million people in the war with the Soviets. We’ve forgotten that. Our memories are very short. He suggests much of the chaos could have been prevented. “We didn’t help the Afghans reconstruct their infrastructure. 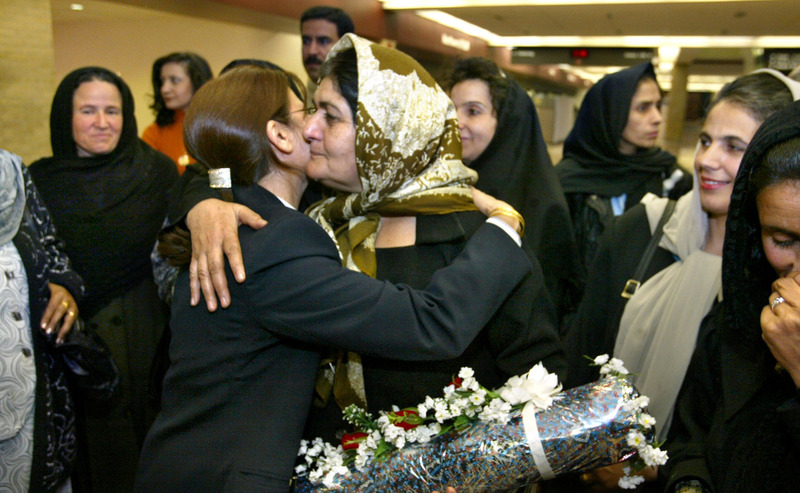 There were a lot of refugees in Pakistan and Iran who could have come back and helped to put something together. When we did start to help after 9/11, we blew it. We spend a lot of money and want immediate results. What does that bring? It brings mistakes, corruption, lost money. The U.S. had $20 billion unaccounted for. Nobody knows where it is. Gouttierre made Nebraska a haven for Afghans but he nearly didn’t come here himself. He was running the Fulbright Foundation overseas when he and Center for Afghanistan Studies founder Chris Jung, whose father was part of an Indiana University team in Afghanistan, began doing exchange programs. Then Jung died and UNO courted Gouttierre to take the open post. He told UNO officials no three times. He finally went to a trusted mentor, then-U.S. ambassador to Afghanistan Theodore Eliot, who told him, ‘fI they offered me that job, I’d leave this job and take it.” Are you kidding me?” Gouttiere asked. Upon their arrival, the Gouttierres were struck by the welcome extended them and by the support that helped the center and international studies and programs rapidly grow. “There was such an interest, such an enthusiasm in Omaha, more than we could have expected. It was really something we could have only dreamed for, hoped for,” Gouttierre said. Under the leadership of chancellors Ronald Roskens and his successor Del Weber UNO caught the nascent wave of globalization. The university went from having a limited international presence to being a national leader in global engagement. Introducing his adopted state to the country that adopted him and that captured his heart has been satisfying. Being part of the inner workings to get the Soviets out was stimulating. His last trip to Afghanistan was in 2014 and he hopes to return again. He’s grateful for the support subsequent UNO administrators continued showing the center and international studies and programs. He’s appreciative, too, of the strong team around him that made extensive travel to Afghanistan, Pakistan and Washington D.C., for example. possible. UNO’s partnerships with Kabul University are particularly close and varied, including a journalism exchange program between faculty and students from each institution. Weber marvels at what Gouttierre wrought. Weber got to see Gouttierre in action on some overseas trips they made together. “My many travels with him told me much about his work. He was a man who knew how to play and work hard. On one of our trips to Pakistan we convinced the American consul In Islamabad to permit us to go into Kabul for a short trip to see our school programs in-person. The consul told us if we ran into any problems we were on our own as the U.S. government would not provide any assistance. His cozy ties to the U.S. State Department aroused suspicions in some quarters he was a CIA operative but he flatly denies it. While he did get push-back from some colleagues, he said most UNO faculty and staff expressed support, as did alums and the Omaha community, for the center’s work. No student protests raised objections. Though he clearly found his calling, Gouttierre said he always looked forward to retirement. He only worked as long as he did because he enjoyed his job. Now he’s enjoying that long anticipated retirement. He’s taking his family to Lakeland, Florida to cheer on the Tigers at spring training. He said a day doesn’t go by without he and his sons exchanging texts or emails about the club. His love of fine dining, cooking, reading, conversation, movies and tinkering around the house keeps him plenty busy. Wherever he is, whatever he’s doing, his joy tinged with sadness affinity for Afghanistan is omnipresent. That place is so very far away, yet reminders of it are everywhere in his life and home. The feelings and memories always near. “I’ll never be able to set aside Afghanistan. That’s a passion of a unique nature. I learned so much about life by having the opportunity to live among them, broadening my horizons, enriching my appreciation of other peoples, languages, cultures. I gained greater appreciation of our country by having the chance to live abroad – the best kind of comparative education. Full disclosure: When the University of Nebraska at Omaha unceremoniously dropped the school’s highly successful football and wrestling programs five years ago, I took out my disappointment and frustration in some posts that might have read like rants. The posts were not written as a journalist trying to be objective but as a UNO grad, former UNO sports information staffer and lifelong Omaha resident who had grown close to both programs through my work as a journalist. My posts were my personal opinion and presented as such. The only time I wrote anything about those events in my role as a journalist was in a New Horizons cover story I did on Mike Denney in the immediate aftermath of it all. My siding with Denney definitely bled over into the story and I make no apologies for that because it was a passionate and honest response to a traumatic severing. My sympathies were entirely with Denney and I let him have his say, though he was actually quite tame in his comments, even though he was deeply hurt by what happened. I do regret not getting athletic director Trev Alberts and chancellor John Christensen to comment for the story, though I think I tried. If I didn’t, well then that’s my bad. As fate would have it, I was recently assigned to do a piece on the state of UNO athletics five years after those events and this time around the assignment called for me to tell the story from UNO’s point of view, which meant interviewing Alberts and Christensen. I must say that after talking to those two men, particularly Alberts, I have a mcuh better appreciation and understanding of why the deicison to eliminate the two sports was made and just how wrenching it was for them to make. I believe the rationale they lay out today is more telling than what they communicated then, but that may be a function of my not wanting to hear what they said before. I am sharing here the new story that I did for Omaha Magazine (http://omahamagazine.com/). It’s featured in the Sept/Oct 2016 issue. Visit baxterarena.com for more information. Here is the official UNO announcment of the 2015 winners of the Andy Award for International Journalism: Matthew Hansen of the Omaha World-Herald and yours truly. Matthew’s going to Cuba to explore Nebraska’s historic connections to Cuba and where that relationship will go in light of restoration of normalized relations and the lift of travel bans. I’m going to Rwanda and Uganda, Africa with two-time world boxing champion Terence Crawford of Omaha and a cadre of other Omahans to shed light on the efforts of Nebraskans and others in responding to needs in those nations and lessons learned there that can be applied here. 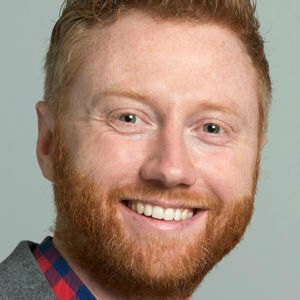 OMAHA – The University of Nebraska at Omaha (UNO) announced today the latest winners of the Andy Award for international journalism. Named in honor of former Omaha World-Herald Publisher Harold W. Andersen, the annual award funds new international reporting projects proposed by Nebraska-based journalists and news organizations. This year’s winners are Omaha World-Herald journalist Matthew Hansen and freelance journalist Leo Adam Biga. Hansen will travel to Cuba to explore its historic connections to Nebraska and how the relationship will blossom as travel and trade bans are lifted after 53 years. The resulting editorial piece will give Omaha World-Herald readers a window into Cuba: its culture, history, struggles, and future. Biga’s travels will take him to Rwanda and Uganda, Africa, with former world lightweight boxing champion and newly crowned welterweight champion, Terrence Crawford, and Pipeline Worldwide co-founder, Jamie Nollette. The group will visit projects building fresh water wells and growing food, while meeting with aid workers and those affected by years of genocide and hunger. The group plans to travel to Africa in June 2015 and Biga’s resulting story will be published in Omaha Metro Magazine’s “Journeys” series. 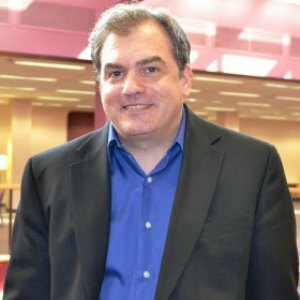 “We are excited to be able to award two exceptional journalists this year,” said Tom Gouttierre, Dean of International Studies and Programs and chair of the Andy Award committee. “Both stories will show readers that there are connections between Nebraska and Rwanda, Nebraska and Cuba, and that international collaboration, or the absence of it, has a real impact on a country and its people. The Andy Award has honored Nebraska’s best international reporting since 1987. For the past 12 years, winners have received monetary awards, thanks to the generosity of Harold and Marian Andersen. The award committee accepts proposals to fund future reporting projects as a way to encourage more international journalism. This year’s awards are $5,000 each. Applications for the 2016 Andy Awards will be accepted in Fall 2016. The competition is open to Nebraska-based news organizations – print, broadcast, and online – as well as freelance reporters. More information is available at http://world.unomaha.edu/andy.php or by contacting UNO’s International Studies and Programs, 402.554.2376. 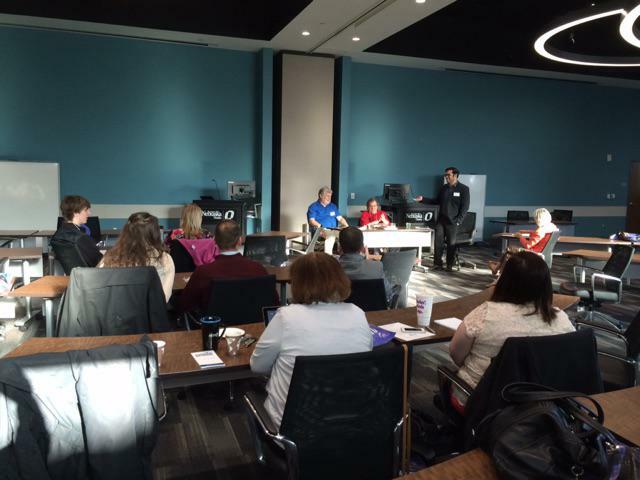 Mike Whye and I did a panel on freelance journalism this morning at the Society of Professional Journalists Region 7 Conference at UNO’s Community Engagement Center. The audience was made up of students, working professionals and educators from Nebraska and surrounding states. It was fun talking sharing craft and business aspects of freelancing. That’s Mike on the left, me in the middle and moderator Jonathan Garcia on the right. Thanks to Chris Bacon and Jeremy Lipschultz for the photos and thanks to Rob McLean for the invitation to participate. I enjoyed meeting Mike (mwhye.home.radiks.net), Jonathan and Rob and I enjoyed seeing my collleague Jeremy again. Doing events like this help remind me why I do what I do, the way I do it. FREElance = Indpendence. Don’t look now, but UNO hockey may be on the verge of making the kind of noise and capturing the kind of attention traditionally reserved for Nebraska football and Creighton basketball. My Reader (www.thereader.com) story charts some of the reasons why this already has beenand continues being a special season for the program. For the first time this late in the season UNO’s nationally ranked and in a contending position for accomplishing big things in their conference and perhaps in the NCAA tournament. The Mavs play their last regular season home series this weekend, March 6-7, at the CenturyLink and it’s an important opportunity to keep momentum and maintain a solid spot heading into the post-season. 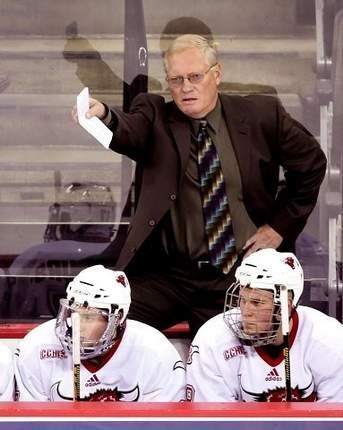 Coach Blais is trying to ensure his team attends to all the details heading into the intense post-season, where little things become magnified and championship teams find ways to win. UNO getting swept on the road at St. Cloud State (Feb. 20-21) resembled the late season swoons it’s suffered in past years. When I saw that one of UNO hockey’s best players, Austin Ortega, has a Spanish surname I was taken aback because the sport of ice hockey isn’t exactly known for players of Latino ancestry. In doing this story about him for El Perico newsspaper I soon discovered he doesn’t feel like a fish out of water because of his ethnicity – I should note here he is part Mexican and part Filipino. But as his brilliant sophomore season continues he’s getting more and more attention and it’s impossible to ignore he’s different, not just because of his ethnicity but because he’s supremely talented at scoring goals. My article appeared a few weeks ago when he led the nation in game-winning scores and he’s only added to that total since then. He and his teammates have Top Ten-ranked UNO contending in their conference and nationally for the first time this late in the season. Their final regular season home series this weekend (March 6-7) is huge for solidifying their placement and momentum in the post-season. At first glance Austin Ortega doesn’t appear to belong in big-time college hockey. At 5-foot-8,175 pounds the UNO sophomore forward is smallish for a power conference player and his Mexican-Filipino ancestry makes him a rare brown face in a white-centric game. But as anyone who’s seen him play can attest, this clutch scoring machine for the 16-7-3 and No. 4-ranked Mavericks is right at home on the ice. He was named National Player of the Month for December and through January his nine game-winning goals led the nation. He’s the top scorer and point producer for a UNO team enjoying its best season ever and coming off a historic two-game split with No. 1 North Dakota. In UNO’s 3-2 sudden-death overtime win over NDU on Jan. 30 Ortega tallied the game-winner on a power play before 11,000-plus fans at the CenturyLink arena and a CBS Sports Network audience. The Escondidio, Calif. native is the first in his family to play the sport. He says his parents figured he’d lose interest but his passion only grew through travel club and junior league play on his way to becoming a prized Division I recruit. Still, his dominance so early in his collegiate career is a surprise to everyone, including himself. UNO Coach Dean Blais confirms Ortega’s development is on a faster track than anticipated. But he no longer questions the player’s capabilities, not with his new star ably filling the void created by 2014 All-American Josh Archibald’s departure for the NHL. “Austin Ortega stepped right in and took over Josh’s spot and has had almost the same success, so that says something about his ability,” Blais says. “He can make something out of nothing, and that takes a special player. There’s been times he should have been off the ice and he managed to generate enough energy to get to the net to score. A serious worth ethic instilled during childhood drives him to improve. Blais says there’s more to Ortega than what first meets the eye. The coach sees major strides since he first arrived. Ortega aspires to the NHL and Blais doesn’t doubt he can make it. Some may regard Ortega’s size as an issue but not Blais. Blais, who has UNO in a position it’s never been in before, feels “the foundation is there” for his young, talented team to “be knocking on that championship door,” He feels things are trending for Ortega to lead UNO there and to contend for hockey’s top individual awards. Ortega, who as a kid once juggled hockey, soccer and baseball, says he’s never dwelled on being a person of color in a sport lacking diversity. He’s intrigued to learn UNO has a legacy of athletes of color in history-making spots. 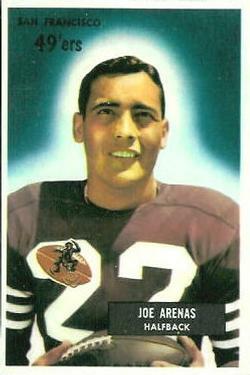 Joe Arenas, a Mexican, operated then-Omaha University’s single-wing offense in the 1950s. 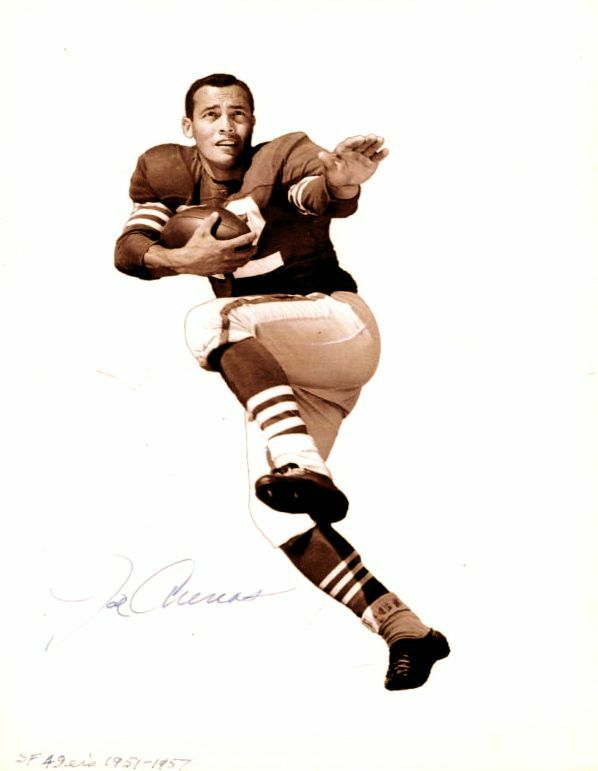 Marlin Briscoe, an African-American, quarterbacked OU before becoming the NFL’s first black starting signal-caller. Before Ortega, UNO hockey featured an African-American player in Alex Hudson. “I’d never even thought about that before, but yeah it’s cool to be a part of something like that,” says Ortega, whose Mavericks face Western Michigan in a February 13-14 home series. If Ortega keeps netting game-winners, come March UNO may finally advance past the NCAA opening round. The ultimate goal is the Frozen Four in April. For UNO hockey details, visit http://www.omavs.com.